Sub-micron resolution high-speed spectral domain optical coherence tomography in quality inspection for printed electronics. 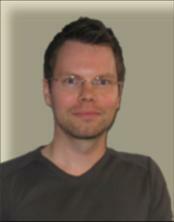 Janne Lauri graduated with a Master’s degree from the University of Oulu, Finland 2007. He did his Diploma thesis about flow velocity profile measurements with Doppler optical coherence tomography. Now he is a PhD student in Optoelectronics and Measurement Techniques Laboratory, University of Oulu. He is currently working with flow velocity measurements with industrial suspensions as well as biomedical suspensions to characterize fluids flow properties. His research interest also includes structure measurements with optical coherence tomography.